In July 2015, the Environmental Protection Agency issued a proposed regulation that carried the veiled threat to eliminate the possibility of converting any vehicles originally designed for on-road use into racecars. The regulation would also make the sale of certain products for use on such vehicles illegal. According to SEMA, the regulation would impact all vehicle types, including sports cars, sedans and hatch-backs commonly converted strictly for use at the track. While the Clean Air Act prohibits certain modifications to motor vehicles, it is clear that vehicles built or modified for racing, and not used on the streets, are not the “motor vehicles” that Congress intended to regulate. The offending paragraph in the proposal said this on page 391: “There is no prohibition against actual use of certified motor vehicles or motor vehicle engines for competition purposes; however, it is not permissible to remove a motor vehicle or motor vehicle engine from its certified configuration regardless of the purpose for doing so.” In other words, you could still race a racecar – you just couldn’t build one. Public reaction to the proposal was overwhelming. Thanks to pressure from SEMA, automotive aftermarket representatives, enthusiasts and even members of Congress itself, the EPA removed that particular provision from the final greenhouse gas rule. So, since the legislation was amended, we’re all in the clear, right? However, representatives from SEMA as well as many product manufacturers caution that the agency has not abandoned its stated interpretation of the Clean Air Act and warns that the sale of legitimate racing parts may still have an uncertain future. The Environmental Protection Agency (EPA) affects every aspect of our lives in one way or another. What we drive and how we enjoy our leisure activities are only part of its purview. No one argues about the need for clean air and clean water and the fact is clear that the Clean Air Act originally introduced in the mid-’60s and revised in 1970 and 1990 has done a lot to reduce pollution in this country. But the concern by many automotive industry insiders is that unchecked, unnecessary regulations will severely impact a strong economic sector. Gosswein, SEMA’s senior director, Federal Government Affairs says whether it’s replacement engines or individual parts, the way the Clean Air Act reads is if it’s emissions related parts, there must be a reasonable basis for coming to a determination that when the part is installed both the vehicle and the engine will remain in a certified configuration. In other words, the parts supplied by the aftermarket, installed by a professional and used by a consumer must keep a vehicle emissions-compliant. It’s not necessarily an easy task, but a long relationship with both EPA and CARB (the California Air Resources Board) puts SEMA on the front line of helping to clarify and, occasionally, influence decisions. 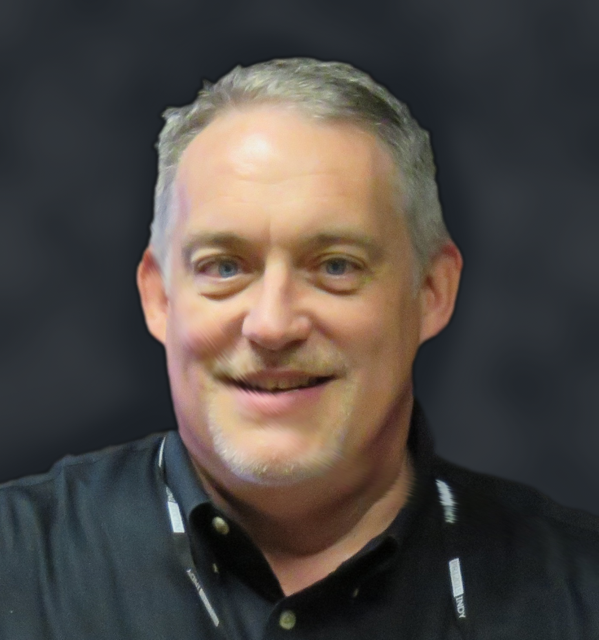 Understanding what is and isn’t emissions legal has been a challenge for decades, says Jim McFarland, SEMA technical consultant. Because California’s pollution problems were so bad, the Golden State developed its own clean air standards before the Federal government waded into the conversation. Ultimately, the California standards were stricter that the rest of the country’s, so for a time many parts were understood to be “not legal for sale or use in California.” The 49 states plus California discrepancy was confusing and costly, so parts manufacturers finally started meeting the standards that would give them Executive Orders from the California Air Resources Board. A CARB EO leveled the playing field and meeting emissions standards became a part of business. Recent changes at the EPA, however, have some worried that the Federal standards might be rolled back, once again separating California from the rest of the country. For engine builders, concern has, of course, centered on whether the engines built meet the various emissions regulations in a state or municipality. Some areas have strict testing while others have none, but whether it’s a smoke test, a sniff test or an OBD II diagnosis, engines that won’t pass the standard for the area in which they are used are no good to anyone. McFarland says, “Well, if they’re deviating from what I’ll call a production engine and there’s nothing really concrete here, it’s just a practice that seems to be accessible, and that is that certainly in the California EO process – if you’re putting parts on an engine that are emissions related in some way, and that includes a lot of things if you really step back and look at it. If you’re affecting the mass flow or mass air flow to an engine, then potentially you could be affecting emissions because emissions are measured in grams per mile. That deals with the volume of air consumption, so if you’re deviating from stock parts, and it’s emissions related, you want to try to use parts that have gone through the compliance process in California. Under California law and the Federal Clean Air Act, there are basically two types of aftermarket parts; “replacement” and “specialty.” While the laws apply equally to both types of parts, and as a practical matter, replacement parts are not subject to testing and certification requirements. Therefore, the sale and use of aftermarket replacement (functionally identical), which may affect emissions, is completely legal under both California and Federal laws, so long as the retailer reasonably believes the parts are designed and intended to perform the same functions as the part being replaced. This leaves the remaining category, “specialty parts,” that can affect emissions. According to CARB, to ensure that these systems operate as designed, California Vehicle Code Section 27156 and the Federal Clean Air prohibit modifications that increase motor vehicle emissions. If properly designed, most performance modifications do not increase vehicle emissions. California Vehicle Code Section 27156 allows aftermarket part manufacturers to work with the CARB to show that their modifications do not increase vehicle emissions and therefore are legal for installation on California vehicles. Legal modifications are sold as either exempted parts or replacement parts. Exempted parts are add-on or modified parts that have undergone a CARB engineering evaluation. If the part or modification does not increase emissions it is granted an Executive Order. The Executive Order allows the modification to be installed and has a number assigned to it that can be verified by any inspection station or by the CARB. Replacement parts are made by aftermarket part manufacturers to replace original equipment. These parts are legal to use as the manufacturer has shown that they are “functionally identical” to the part they are replacing (in other words, not offering any signifcant performance gain). In addition, engine rules are important to understand. Entire engines can be replacement parts. As with any other replacement part, the engine must be identical to the original. If the replacement block or engine is obtained without emissions equipment, all the equipment from the original engine must be installed on the replacement block. If the engine is not identical to the original then it is not a replacement part, instead it is considered an engine change. Engine changes are a modification that must meet certain requirements to be legal. – The engine must be the same year or newer than the vehicle. – The engine must be from the same type of vehicle (passenger car, light-duty truck, heavy-duty truck, etc.) based on gross vehicle weight. – If the vehicle is a California certified vehicle, then the engine must also be a California-certified engine. – All emissions control equipment must remain on the installed engine. After an engine change, vehicles must first be inspected by a state referee station. The vehicle will be inspected to ensure that all the equipment required is in place, and the vehicle will be emissions tested subject to the specifications of the installed engine. Used engines imported from Japan can be used as replacement engines as long as the engine being used has been identified as functionally identical to the original engine. Please refer to the engine importers catalog to determine if a replacement engine is legal for installation in your vehicle. Vehicles that were manufactured before emission control regulations took effect are called uncontrolled vehicles. Aftermarket parts regulations and anti-tampering laws do not apply to these vehicles. Uncontrolled vehicles may have any aftermarket add-on or modified part installed as long as the vehicle can still meet the tailpipe emission standards for the year of the vehicle. Uncontrolled vehicles must retain any original or retrofit crankcase control (PCV) devices and NOx device required for the year of the vehicle. For more detailed information, visit www.sema.org/government-affairs. In addition to the engine replacement laws and legal and exempted components for on-highway vehicles, engine builders must be informed about off-road or racing parts and modifications that increase vehicle emissions. These parts are not legal for street use and are identified by their manufacturer for off-road use only. They’re not illegal to sell or use in the right application – but what those applications are remains in question, according to Gosswein and McFarland. The Recognizing the Protection of Motorsports (RPM) Act of 2017 was introduced into the U.S. Senate as Bill S203 by Senator Richard Burr (R-NC) and 38 co-sponsors. It had a hearing before the Senate Environmental and Public Works Committee, Clean Air and Nuclear Safety Subcommittee. It was introduced into the House of Representatives as HR350 by Rep. Patrick McHenry (R-NC) and 141 co-sponsors. In December, the Energy and Commerce committee passed the bill and is awaiting action on the floor. Gosswein says the bill clarifies that is it legal under federal law to manufacture, sell, distribute and install race parts that modify the emissions system of a motor vehicle that is used solely for racing. Many Engine Builder readers would be severely impacted if the EPA’s proposed lanquage had been adopted and attention must continue to be paid. The spectre of Big Brother coming in and shutting down businesses for exceeding emissions or simply modifying engines has hovered over this industry for decades. The aftermarket has always done a great job of meeting the challenges imposed by legislators. In 1992, nearly every issue of Specialty and Custom Dealer – a former Engine Builder sister publication dedicated to brick and mortar speed shops – contained an article or guest column advising retailers at the time of the 1990 Clean Air Act changes and what to look for regarding emissions-legal parts. 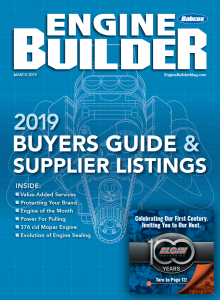 Jim McFarland’s commentary in that April issue pointed out that aftermarket manufacturers weren’t doing a very good job developing legal parts and said the OEMs would gladly fill the void. A “Technology Wall,” was being built, McFarland warned and unless the aftermarket invested heavily in R&D, developed products customers wanted and overcame the decline in performance, the options for customers would be limited. Enthusiasts’ choices could have been to simply remove the smog parts and risk fines, or let the new car dealer make the sale. Instead, the aftermarket stepped up and since that time SEMA has gone all-in with manufacturers to help develop and test products, ultimately helping them achieve CARB certifications and ultimately grow into a $36 billion industry. For engine builders, is there a risk of the EPA asking parts suppliers for records of their customers? McFarland says the possibility certainly exists. McFarland says SEMA has gotten a fair number of calls from engine builders who have been visited by EPA – they’re waiting for the other shoe to drop. “Ignorance of law is no excuse. I mean for a while, the agencies were going after the sources of the parts in terms of manufacturing. Well now, in some instances, they’ve gone around that. The risk level has gone up for the warehouse distributors and jobbers,” McFarland says. “I just think the safest thing that the engine builders should do is become more aware of what’s critical and become more aware of parts that are under the scrutiny of the agencies. That’s not difficult to do. We can help them if they’re SEMA members and try to help them become smarter about what they’re using and try to avoid it that way. Just don’t use the parts,” McFarland cautions. It’ll never happen to me? Famous last words.